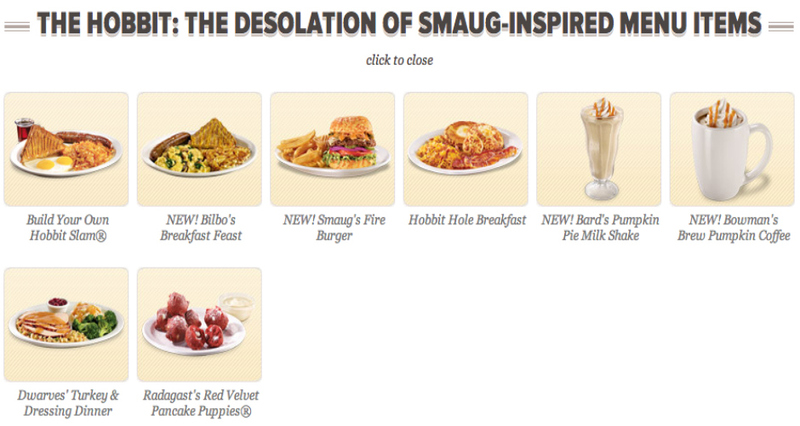 Eat Denny's Creates A Hobbit-Themed Menu, Calls Itself "Middle Earth's Diner"
Denny's Creates A Hobbit-Themed Menu, Calls Itself "Middle Earth's Diner"
One Denny's to rule them all, one Denny's to bind them. One Denny’s to rule them all, one Denny’s to bind them. 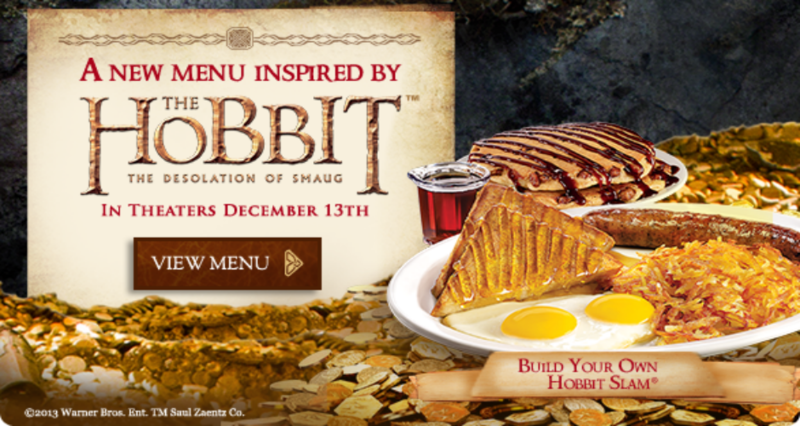 The chain restaurant has unveiled a huge promotional campaign for The Hobbit: The Desolation of Smaug, part two of Peter Jackson’s three-part effort to stay relevant. The movie hits theaters December 13th. 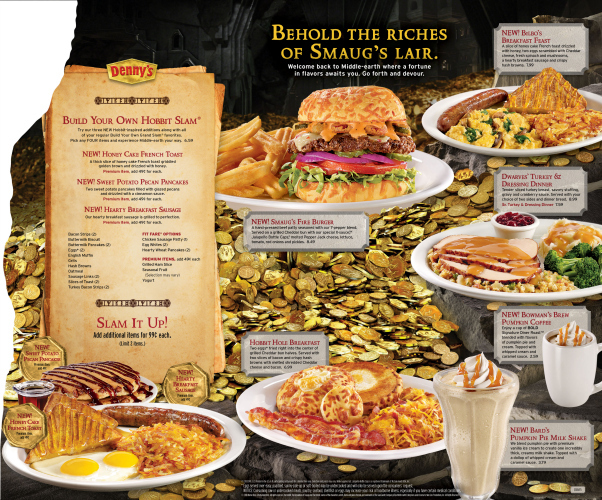 Denny’s, “the official diner of Middle Earth,” offers items like Smaug’s Fire Burger (“hand-pressed beef patty seasoned with our 7-pepper blend”), Pumpkin Coffee (“signature Diner Roast blended with flavors of pumpkin pie and cream”) and Radagast’s Red Velvet Pancake Puppies (“six bite-sized round red velvet Pancake Puppies® made with white chocolate chips and sprinkled with powdered sugar”). That’s funny, because we don’t remember the part of the film where Radagast dips pancake bits into cream cheese frosting. It must be a scene that’s only in the book. Denny’s also released new commercials targeting Lord of the Rings fans. Brace Yourself. Winter is coming. Or is that Game of Thrones? This intense fandom thing gets confusing after while.